Sarah Santilli directs the Santa Maria choir of Columbus Children’s Choir and teaches vocal and general music at Jones Middle School in Upper Arlington. Sarah’s background includes vocal, instrumental, jazz, gospel, musical theatre, and dance. She regularly performs in community musical theatre productions in the Columbus area and directs the annual musical at her school. 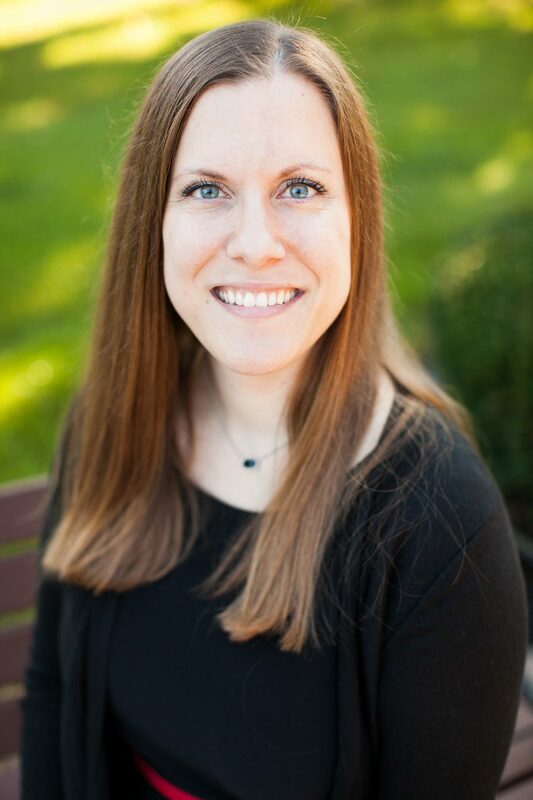 As a member of the Organization of American Kodály Educators and Ohio Music Educators Association, Sarah has presented at local, state, and national conferences, often in collaboration with Jeanne Wohlgamuth. She has also chaired district level events. Sarah received her bachelor’s degree in music education from The Ohio State University and master’s degree in choral education with Kodály certification from the Kodály Institute at Capital University, where she was featured as a soprano and clarinet soloist. On February 16th, the Santa Maria choir under the direction of Sarah Santilli will perform with the LancasterChorale, central Ohio’s premier all-professional chamber choir. During the collaboration, Santa Maria singers will experience rehearsals and performances side-by-side with the artists of LancasterChorale and perform in one of the city’s finest venues, the Lincoln Theatre. Each winter, Sarah prepares the Santa Maria choir for their annual role in the Holiday Pops, singing alongside the Columbus Symphony and Symphony Chorus. In 2017, Sarah conducted the Santa Maria choir in the National Anthem at the Xfinity Race at the Mid-Ohio Sports Car Course in Lexington, OH. This event was beloved by the singers and their families and was seen on live TV by over one million viewers! Whew! Let’s get to know Sarah a little better. A: I have an annoying answer to this question….I usually say clear because you can see all other colors through it. I’m partial to yellow as it is one of the school colors where I teach. A: Thanksgiving, because it’s all about family and food! Q: Do you have a favorite choir/music related memory? A: When I was a clarinet major at The Ohio State University, I was given a piece in band that had a clarinet solo cadenza. I clearly remember from the performance that while I was playing, the room and everyone faded away and I was alone on the stage making the most personal music of my life. It was surreal. Q: What has been the “best ever” place to visit you’ve been to? A: I have been very fortunate to travel abroad with the New World Singers. Spain, Austria, and Hungary were beautiful. I had never been overseas before and am so grateful for the opportunity! Q: Is there any “little known fact” about you that you’d like to share? A: I have an identical twin sister who lives in Pittsburgh, I love to perform in community musical theatre and take adult dance classes, and I’m a human jukebox when it comes to classic rock and dancing oldies. Do you or your singer have a special memory of working with Ms. Santilli you would like to share? Simply send why you love working with Ms. Santilli to kerry@columbuschildrenschoir.org and we will print out your message and share it on the bulletin board along with other warm words. During my 3-year tour of duty on the board of the Columbus Children’s Choir, I had the good fortune to meet and get to know Sarah Santilli. She is exceptionally talented and deeply committed to her craft and her students/choir members. Excellence is her hallmark, without question. I wish her nothing but the very best in the years to come.